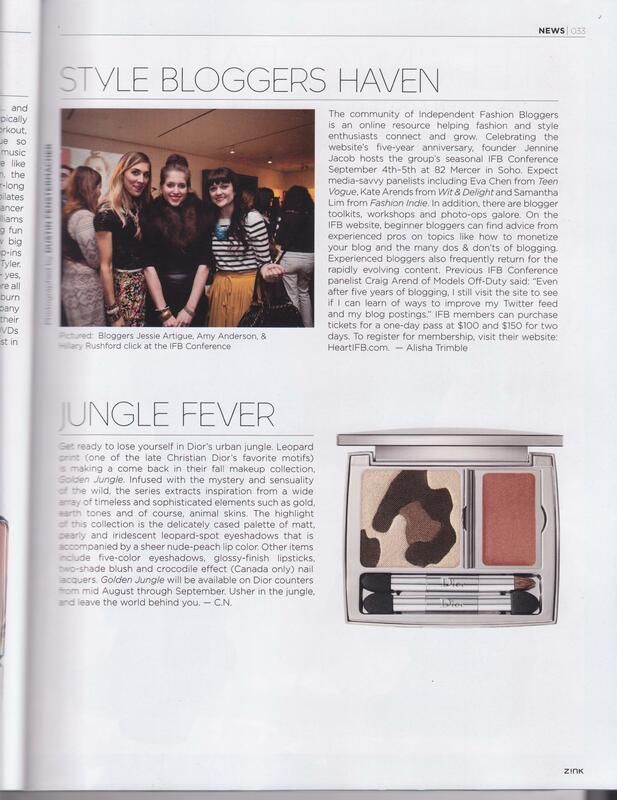 The September Fashion Issue of Z!nk Magazine is my return to print media, since the days when I published a zine. For those of you who missed this phenom, it’s kindof a xeroxed equivalent to what people now refer to as blogging. Except the subject matter was more indie-authentic, and in my opinion less narcissistic than today’s teen self-publishers. In the news section I wrote about the IFB Conference. When I attended the conference, it was squeaky-clean. The panel discussions were the main attraction, but they seemed largely didactic. I received free pressed powder from Bare Minerals, which I wear sometimes as blush. It must’ve been dark in there because the makeup artist selected a color that’s 2 shades darker than my actual skin tone. Also, I was interested in The Bloggers Tool Kit, but I wasn’t allowed to see one. 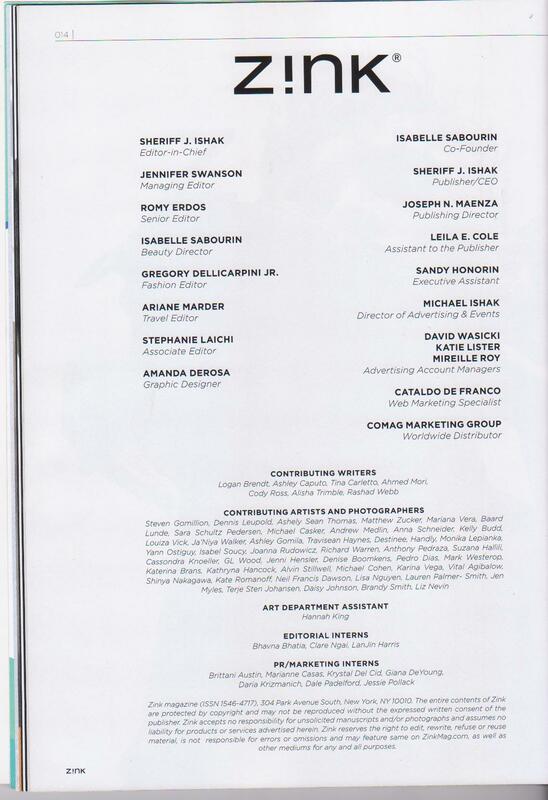 I was so proud to have my name on the masthead: a first! 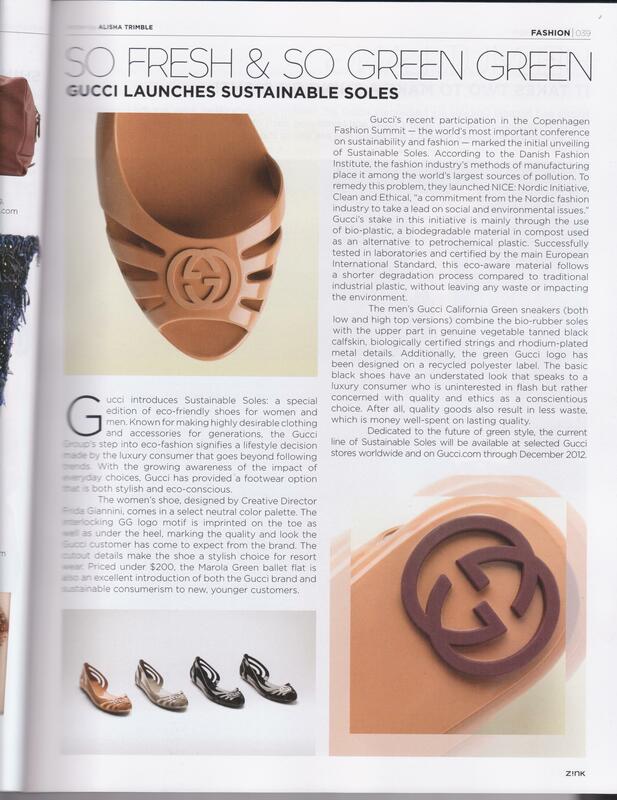 Here’s the article I wrote about Gucci Sustainable Soles, eco-friendly shoes. I want a pair, please!